Microsoft announced today that its Translator app now supports offline, artificial intelligence-powered translation in a handful of languages with what the company says is "the world's first Deep Neural Network-powered offline translation engine." The AI packs are considerably smaller than traditional language packs, and they should provide higher quality translations, too. The AI-powered language packs are available now on the Android version of the Microsoft Translator app. The iOS update is currently undergoing Apple's review process, and Windows device support is "coming soon." 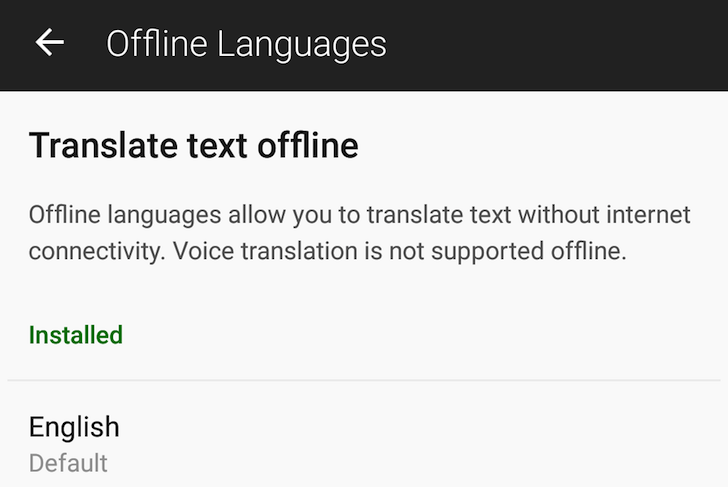 Android developers who want to preview Microsoft's offline translation for use in their own apps can check out the GitHub documentation. The feature should "graduate from preview to general availability" within 90 days.